Pie-A-Palooza is back, which means for the entire month of October, we’re featuring $2 slices of pie, morning, noon, and night! Choose from Oreo Crème, Apple, Pumpkin, and more. Go ahead and have a slice, or two! 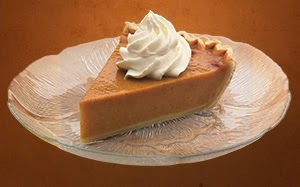 Just remember that our pies are baked fresh daily, so make sure to ask your server which pies are available today. Trick Or Treat! Halloween Deals at Eat’n Park!